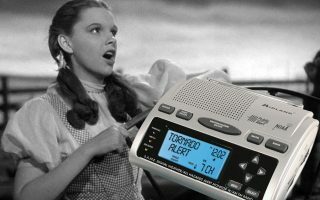 The market today is flooded with various types of weather stations. Some will be great, while others might not always deliver the best accuracy you need in weather station. Most manufacturers would want to offer different top tier features just to make sure that the customers pick their product. AcuRite is one such top company with the best weather stations. The company has a number of models which you can choose from, some are wired while others are wireless. 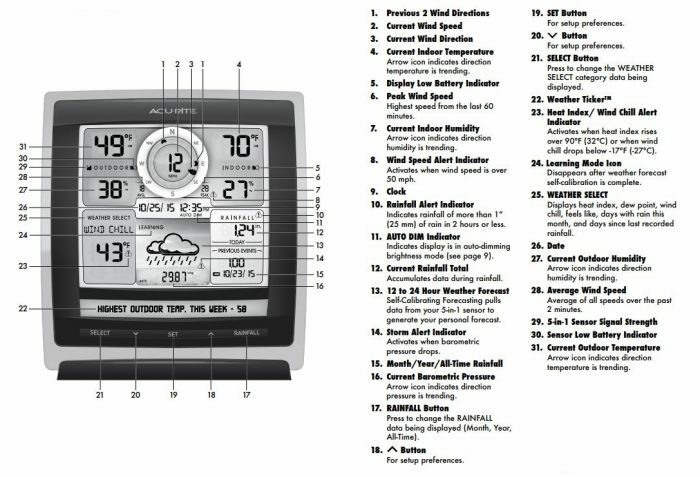 We get to look at the AcuRite 01075RM 5-in-1 Weather Station which is wireless. The model on overall has gained traction to be among the most desired weather stations on the market today. 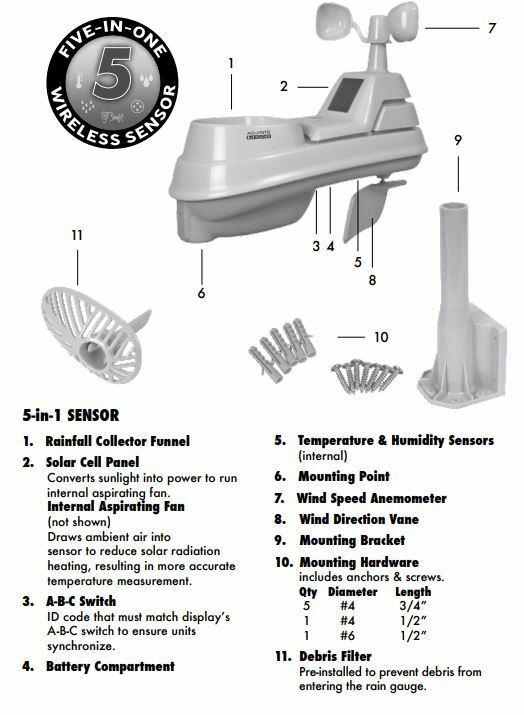 The manufacturer took the time to ensure that the model delivers the best features that most people would need in a weather station. It is not just about the features, but also the functionality you get with such a model. To help the users easily work on the data of their weather station, the model is designed to be the easiest to install weather station today. You must be asking yourself what makes people love the AcuRite 01075RM 5-in-1 Weather Station? To start us off, the model is full of precision weather instruments. There is so much you can experience whenever using this weather station. The weather station will help in measuring the wind speed, humidity, barometric pressure, wind direction, and rainfall. You can imagine all those sensors are integrated into one device. You will not have to buy different devices separately just to measure the changes in weather conditions. Now that you can measure the weather condition. It is still possible now to create alerts on the device. From the console and device app, you can set alerts depending on the weather condition. The result is that you will always be receiving the desired phone or email notifications whenever a weather condition is realized. You can simply choose a few weather conditions to test the system before choose more. With the alerts delivered to your phone, it should be easy to make the right decisions about the weather of the day. The availability of the weather station My AcuRite App makes a whole difference in the world of weather stations. Not many companies would offer a console with an additional app for your PC and smartphone. With this app, you can now link it to your weather station and view the different weather conditions from remote locations. The app will show features such as conditions, trends, sensor data, and much more. The interface is quite easy to use, so you should have no trouble using the weather station app at all. You could still save the data for future reference about the different weather conditions. With your PC, it is also possible to follow the trend in the weather conditions using the device smartHUB option. You will simply have to set up with an Ethernet cable connecting to the internet router to your PC. Being able to monitor the sensors, you can change the views to learn more about the graphs and also past trends of the same weather conditions. The smartHUB feature helps with tracking up to 10 sensors at the same time. You could always get yourself some new sensors if the need arises. As a way of cutting down the costs of a weather station, most manufacturers would offer a monochrome type of display. Well, you would be making a major upgrade when you get to buy the AcuRite 01075RM 5-in-1 Weather Station today. It comes with an illuminated color display important for visualizing the different types of weather conditions. You would easily be able to view the sensor data even in poorly lit conditions as the screen has a backlight feature. Being a digital display, the sensor data can easily be understood, as no complex icons exist. In case you have any trouble dealing with your weather station, the manufacturer has a friendly customer support team that should help you at any time. The company has several ways you could use to contact them. You can use email, phone or live chat and you would be helped based on the issue with the weather station. The sensors are important to ensure that the instruments are working correctly with the highest accuracy possible. With the sensors available, this weather station is able to measure humidity, rain, wind speed, temperature, and wind direction. The sensors need optimal conditions to work effectively, thus the manufacturer had to include an internal fan that maximizes the ambient temperature accuracy at all times. At the end of the day, the reading you get will always be accurate. With the sensors transmitting data every 16 to 36 seconds, then it should be easy for you to catch up with the weather conditions. You can easily change the view on the console to follow a trend of one or several weather conditions. For a model that would be transmitting the data wirelessly, most weather enthusiasts would love to know about the range it can deliver. The weather station will transmit up to a maximum range of 330 feet. Such a range should be enough for various applications when it comes to using the weather station. You would still be able to receive the different data updates on the console provided you are within the wireless range. It is not just about the transmission range; the frequency of the update also matters under the weather station transmission capabilities. With this model, you will end up getting updates from the outdoor sensors every 16 seconds. Within such a time frame, it is easy to note the growing trend in different weather conditions. The display of a weather station is quite important, as this is where you would be getting all the sensor data readings. 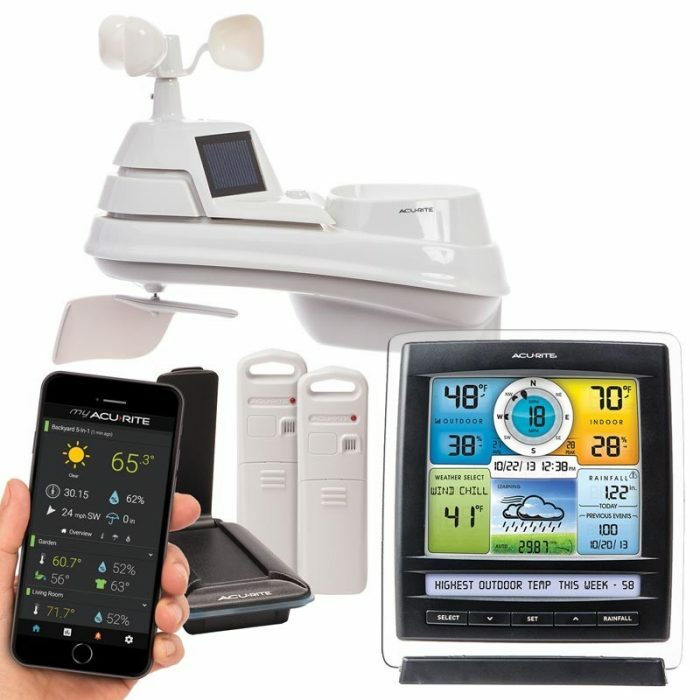 For the AcuRite 01075RM 5-in-1 Weather Station, you get a color display for your console. You can imagine the big improvement when you would be using some dull monochrome displays. This illuminated color display will give you an impressive auto-dimming feature for your brightness. If you are in an area with poor visibility, the display adjusts itself to ensure you can end up seeing easily. The display comes with a self-calibrating forecasting capability. It means that the display would pull the data from the sensors outdoors and filter it to ensure that the most accurate forecast is delivered based on your location. You can get from a 12 hour to 24-hour weather forecast. Quite a number of options exist when using the display. The views can vary from one weather conditions to another. This means that you get a critical overview of how the weather conditions are changing. Here are some of the things you can expect. Wind speeds in either MPH or KPH. You get to view the current, average and peak wind speeds. There is so much information you would get from the display, so it is up to you to make adjustments so as you only get to see what you want. For an outdoor weather station, the source of power makes people opt for other models and leave one with great features. Most people would be thinking about the need to lay the power cables to the weather station. You are in luck when buying the AcuRite 01075RM 5-in-1 Weather Station today. It is powered by 4AA batteries and the good part is that they will last you for 2 years without any maintenance needed. If you are a person who needs more out of a weather station, then the MyAcuRite App should help you do that. The app is designed to be used on smartphones so that you can view the sensor data other than using the manufacturer console. The best part about apps is that you can get additional features important for data analysis. With the app, you can monitor things such as temperature, humidity, water temperature, wind tracking, rainfall and many more. You can still get to customize the alerts on the model so that you can end up with the right notifications about different weather conditions. The manufacturer still gives you an option of making sure that you get comprehensive sensor data. This is where the accessories come in for boosting your data collection. As mentioned earlier, it is possible to have some additional sensors to use for your weather station. Below are some of the sensors you could buy separately. For this product, you get a limited one-year warranty period. You should make sure that the product is not tampered with when looking for your warranty compensation. Any tampering would always lead to making the warranty void. The illuminated color display makes it different from the many weather stations available. The display also has the auto dimming brightness feature. With the mounting hardware included with the weather station, it should be easy for you to handle the installation. The software for PC is not available when buying the weather station. You have to buy it separately. The anemometer feels too light; some people think it might not always register the correct wind speed. 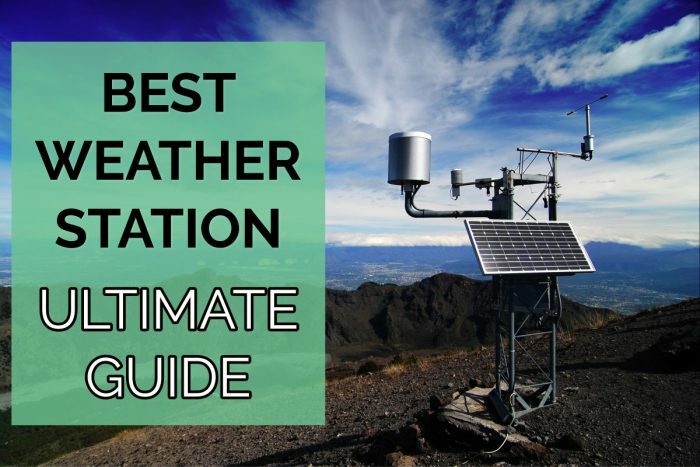 If you get to compare this weather station with other models within its category, it often shows that it is the best among many. It features a few upgrades that set it apart from the competitors. You should be able to easily learn about the different weather conditions as they change by using the console or an app on your phone. With such ease of data collection and reading, you should easily understand why more people would want such a model. I’m fairly happy with mine, but the weather connect — requiring a PC be physically connected to the machine sort of ruins it for me. I’m currently exploring micro PC options that can handle that. Something I can tuck behind the device, which I keep on a small shelf in my kitchen. I think you can use Raspberry Pi to get weather data. It is small and has many tutorials, you will not have difficulty to operate.